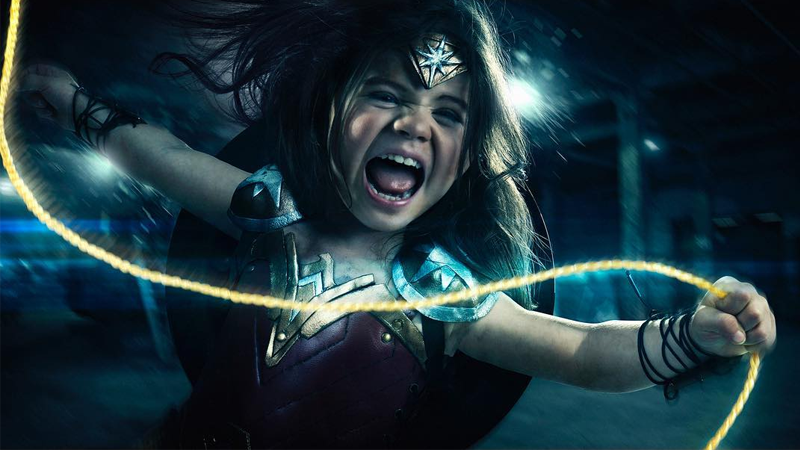 Just a regular ol’ Wonder Woman costume probably would’ve been great, but photographer and #1 dad Josh Rossi decided to make his daughter’s Halloween even better by getting an amazingly crafted costume for her, and then did a special photoshoot compositing her into scenes from Batman v Superman and Wonder Woman. Rossi spent around $1,500 on the incredibly elaborate costume for his 3-year-old daughter Nellee, an obsessive fan of Wonder Woman, for Halloween. That’s already enough crazy dedication to getting your kid’s costume just right, but then Rossi went one step further, with these photos of Nellee in costume, running and leaping into battle as DC’s finest female hero. The most adorable Amazon you’ll ever see. You can see much more from Rossi’s shoot on his Instagram account and at the link below.